Let’s celebrate our independence day with joy and with faith our nation India. May this Independence Day fills your life with freedom and enthusiasm. 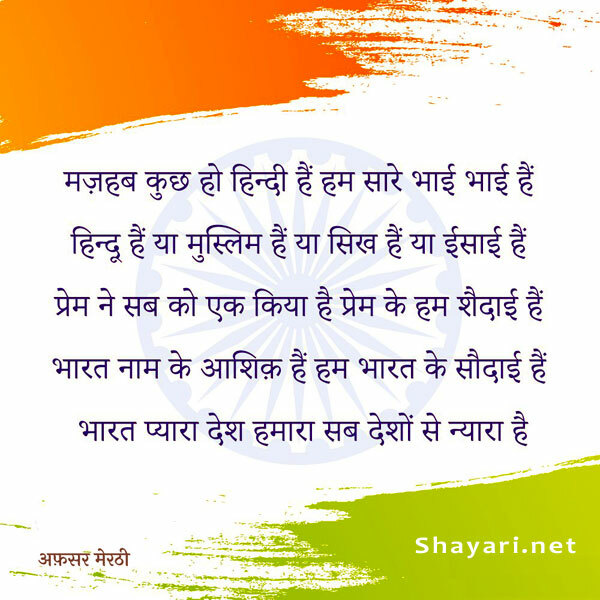 Happy Independence Day Shayari in Hindi, 15 August Status, Independence Day Wishes, Messages, SMS Text in Hindi with Images.